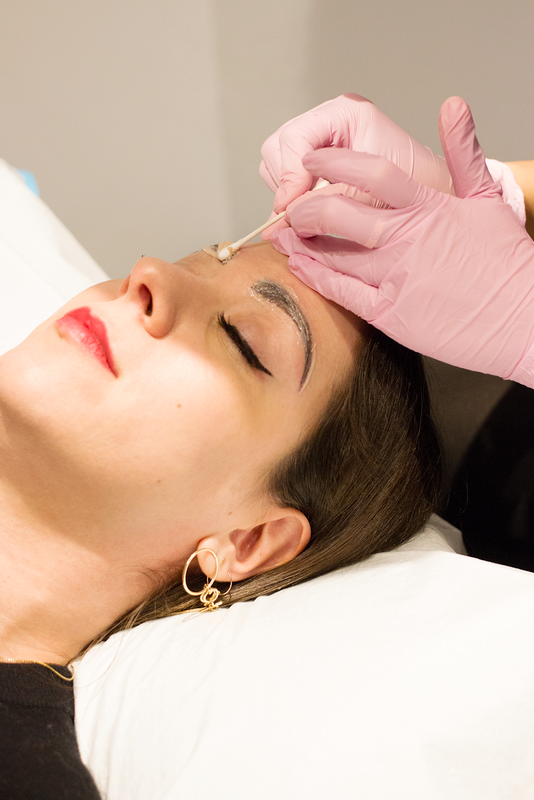 A few months back, I had the life-changing experience of getting my eyebrows microbladed. Now I know it might seem hyperbolic to use the words "life changing" in the context of a beauty treatment, but for all my ladies out there who also waxed, trimmed and plucked the you-know-what out of their eyebrows only to have them never return (#thestruggle), you'll know exactly what I'm talking about. Imagine waking up each morning with full, shapely brows without the need for powders, pencils or gels; it's honestly the most liberating feeling, second only to what I imagine girls with eyelash extensions must feel when they wake up in the morning— you know, put-together and effortless, minus the pesky morning mad-dash to get ready. 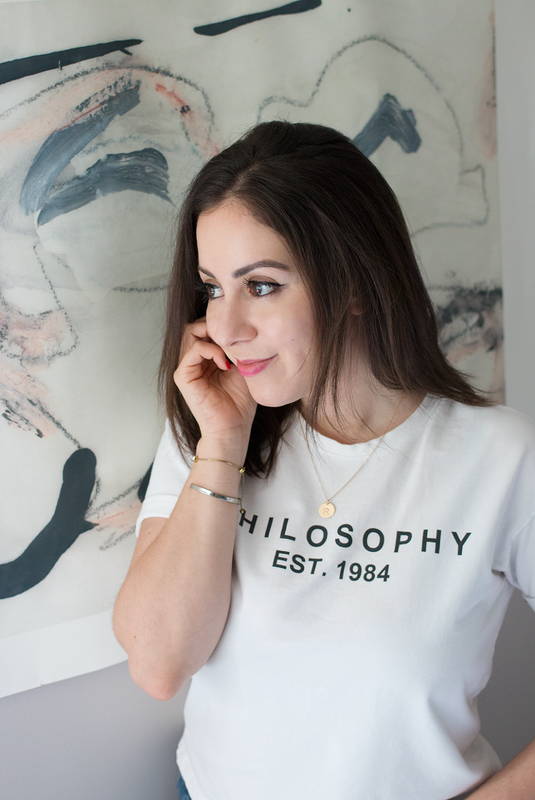 It really is a game-changer, and because it's such a hot topic of discussion these days (I know many of you are curious based on the conversations we've had on social), I wanted to break down microblading and share my experience with you in today's post. 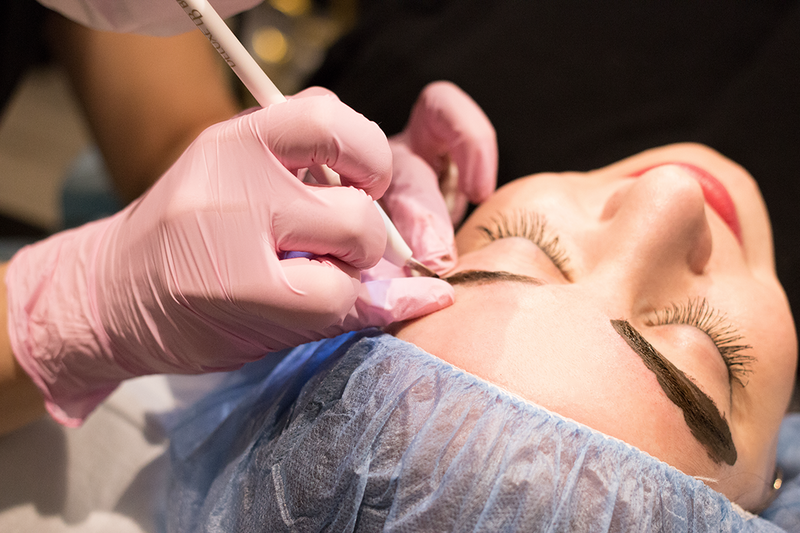 Read on for what the treatment is, what you can expect in terms of healing, and most importantly, what to look for when selecting a brow artist for yourself. 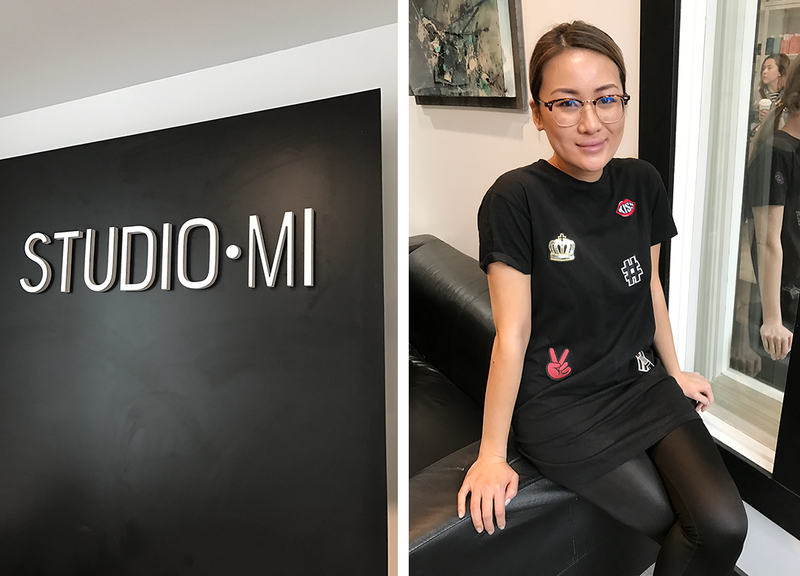 In my case, I was lucky enough to connect with one of the best microblading artists Edmonton has to offer, Natalia Wong of Studio N (located in Studio Mi, 10403 122 Avenue). 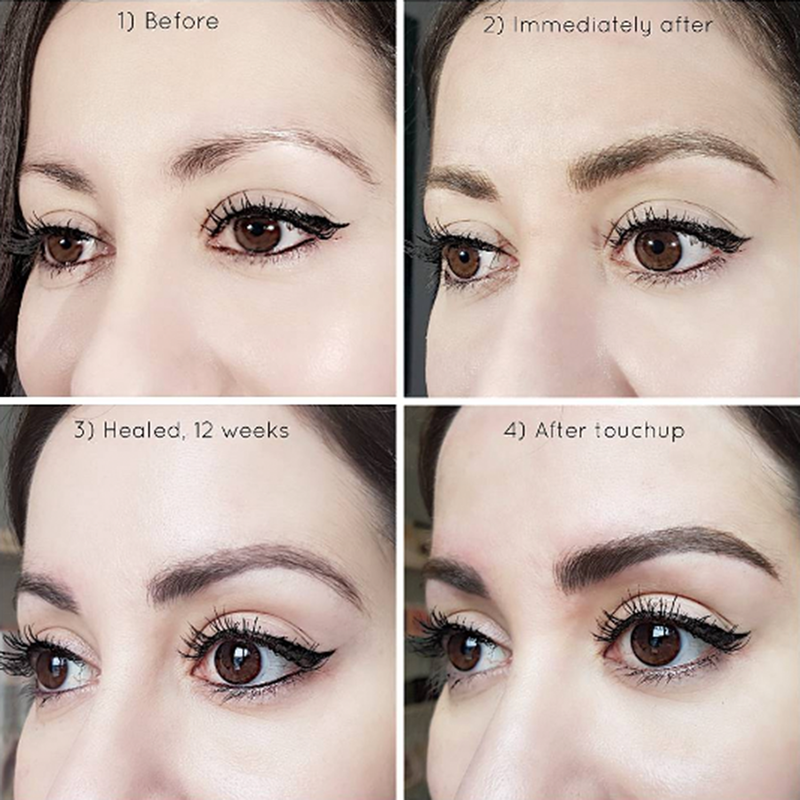 She came highly recommended by one of my girlfriends who now has amazing brows thanks to her, and after scrolling through all the impressive before and after photos on her Instagram account, I knew I could trust my eyebrows to Natalia. And if that wasn't enough, her brows are the ultimate testament to how awesome her work is— homegirl microbladed them all by herself, which is nothing short of impressive! If you're not based in the area and lucky enough to see Natalia yourself, just be sure to do your research and look through any potential artist's work, specifically at their immediately-after and healed photos to get a good idea of what you can expect. Ask questions about cleanliness during your consultation (oh-so important), and always make sure the artist is licensed/certified based on your country's health regulations. After all, we're talking about getting a tattoo on your face here, so be sure to do your due diligence. Microblading is a cosmetic-tattoo technique that fills-in and builds-up sparse brows through a series of realistic-looking hair strokes. After a numbing cream is applied to the area (bless! ), a small, hand-held tool is used— as opposed a traditional tattoo gun— to create micro-cuts in the skin, onto which carefully-selected pigment is applied to mimic the look of hair. Your brow artist will work with you to determine the right shade of pigment for your complexion and desired look. When you go in for your first treatment, the artist will spend the bulk of the appointment determining brow shape, thickness and colour with you, measuring for symmetry along the way. Natalia painstakingly mapped out my brows after listening to all my thoughts and concerns, which involved a lot of back and forth until I was comfortable with how my brows were going to look. Be sure your artist does the same for you and that you're 100% happy with what your getting before they start the process— there's no going back! The most common question I was asked after getting my brows done is probably the one you're thinking right now— 'Does it hurt?!' And in my case, the answer is complicated. I honestly didn't feel a thing during my first treatment... literally nothing. That's how good Natalia's numbing cream is. The only way I even knew anything was happening apart from the faint scraping sound of the blade against my skin was a slight stinging sensation every now and then when the pigment was applied— so basically it was a breeze. During my follow-up appointment, however, I definitely experienced a lot more discomfort, likely because we were dealing with newly-healed skin, but having gone eight weeks with awesome-looking brows by that point, I knew that pain was beauty (so worth it). If this aspect of the treatment is a concern for you, just know that any pain you may experience is very manageable, and that topical anesthetics are a girl's best friend. Unlike regular tattoos, cosmetic tattoos are semi-permanent. There's no definitive answer to how long your brows will last unfortunately, because various factors play a role in this. Your skin type affects the longevity of your brows (ie- oilier skin tends to not retain pigment as well as other skin types), while your lifestyle can play a role as well. Frequent sun exposure, exfoliation (especially in terms of things like chemical peels and facials) and iron deficiencies can also cause your brows to fade faster. But as a general rule, you can expect to enjoy your brows anywhere from one to three years post-microblading. Your brows will take about two weeks to fully heal, during which time you will experience flaking and scabbing. It may sound off-putting, but because it's all happening under your pre-existing brow hair, it's really more something that you can feel rather than see, so don't worry too much about that. Immediately after your appointment you may experience redness (I did, big time) and a constant itch, but that's about it. From there, you just have to keep your brows clean by dabbing them the first few days to help prevent excessive scabbing, then apply a daily ointment for the duration of your healing time. Avoid touching or sleeping on your brows during that two-week period, and remember— no brow makeup allowed! It's totally normal for the pigment applied to your brows at your first appointment to fade slightly during the 6-10 week period between sessions. That's due to the scabbing and peeling associated with the initial healing process, and is the reason why this form of cosmetic tattooing is performed in two separate sessions (generally eight weeks apart). This free touch up gives you a chance to fill in any gaps created by the healing process of your first session (where most of the scabbing occurs), ensures that you're happy with your pigment colour (I went slightly darker the second time around), and addresses any other concerns you may have about your brows. Natalia is big on customer satisfaction, so this step is as crucial to her as it is to you, and I'm sure that any good artist would feel the same. And now for a look at the progression of my brows— it's hard to believe how thin and sparse they once were! 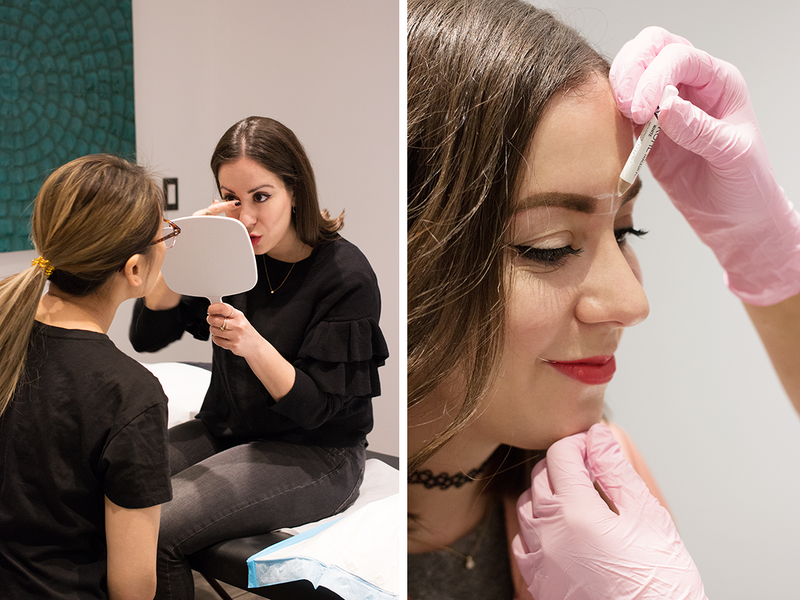 If you live in the Edmonton area and want to see if microblading is right for you, Natalia offers free consultations— definitely take her up on that, and if you mention this post, she'll give you 10% off the cost of your treatment! For more information or to book your appointment, visit studiobeauty.com.